Polyvinylidene fluoride, or polyvinylidene difluoride (PVDF) is a highly crystalline fluorinated polymer. 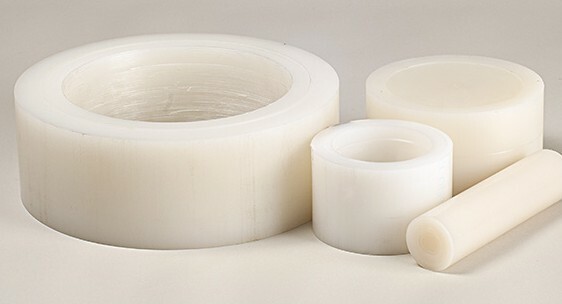 It is characterised by its good mechanical properties (in particular its toughness), and ability to withstand moderately high temperatures and generally excellent chemical resistance. PVDF is resistant to solvents, most acids and alkalis, ozone and chlorine. It is also resistant to long-term exposure to ultraviolet radiation. The thermoplastic retains its properties in high vacuum and exposure to gamma radiation. However, it is unsuitable for applications that require a high coefficient of linear expansion.